So we’re into a new year, and a new series of Siblings posts. Looking back I can’t believe how much life has changed since the very first Siblings post, last January. 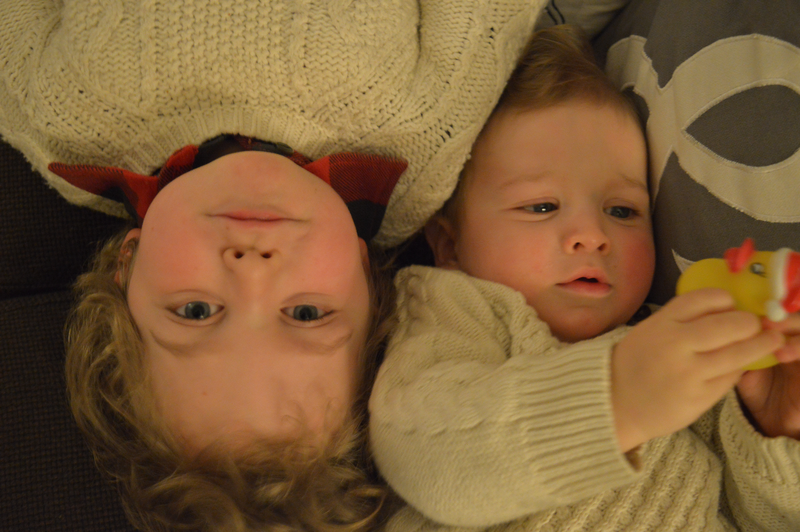 It’s still so clear how much our two little guys love each other, over and above the rest of us. They light up in each others company and love to laugh together. I’m really looking forward to watching their relationship grow this year. It’s a big year for us – Elliot will start school in September and I’m not entirely sure that I’m ready for that, though I’m absolutely 100% sure that he’ll be ready, if he’s not already! Another exciting development is that I’ve finally given in and bought a DSLR, so have lots to learn. Hopefully the photos around here will start to look much better soon! The next problem is to get the two of them to stay still long enough to take a good photo. These two are so active all the time, that the perfect picture only lasts for a millisecond! Any tips gratefully received. This entry was posted in Alexander, Elliot, Siblings Project and tagged #siblingsproject, Siblings, siblings photo, siblings relationship. Bookmark the permalink.